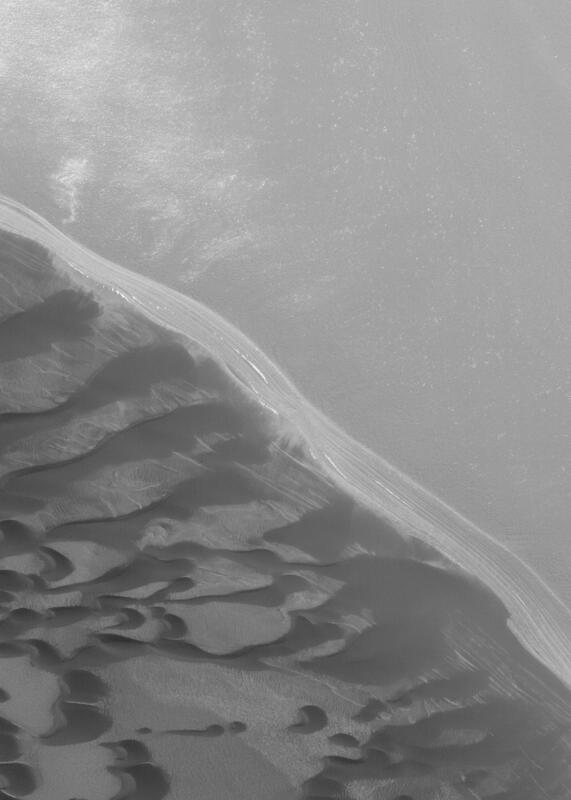 This 1.6 meters (~5 feet) per pixel Mars Global Surveyor (MGS) Mars Orbiter Camera (MOC) image shows a typical north polar scarp and associated dark, windblown sand dunes. 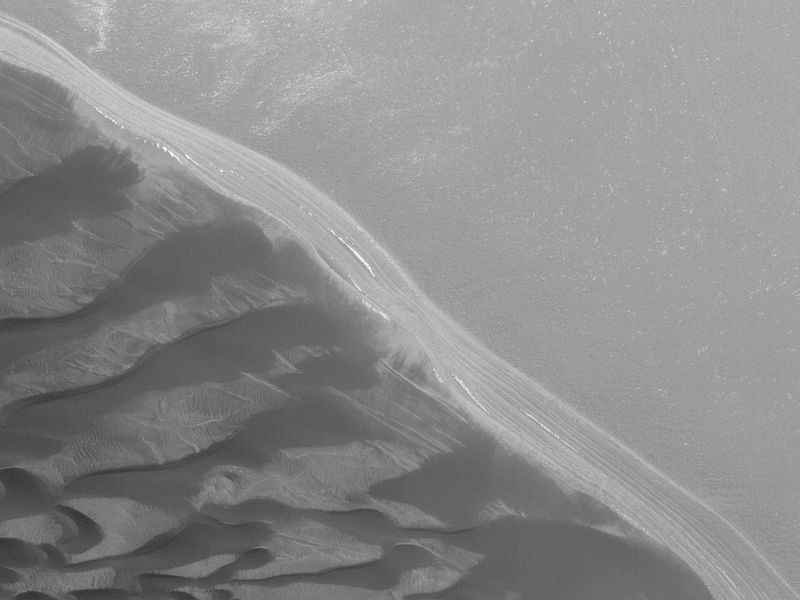 Layers of material -- possibly dust and ice -- are exposed by the scarp. The small white patches in the image are remnants of seasonal frost. 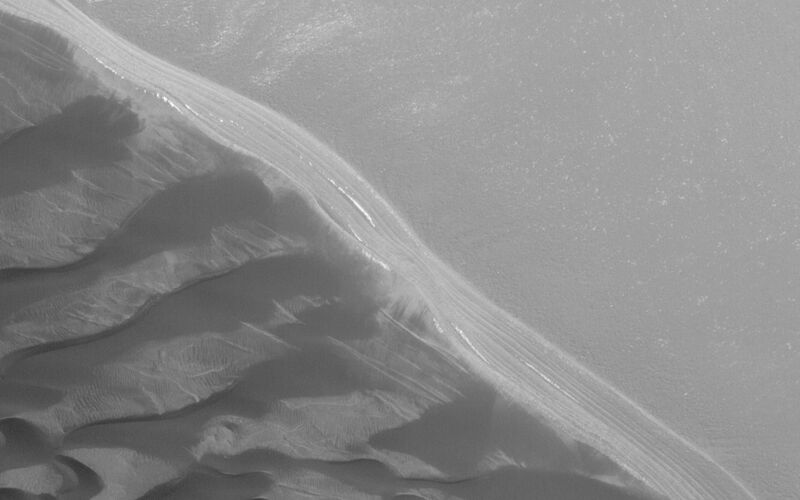 When this north polar image was acquired in late September 2004, most of the polar frost had sublimed away. This image is located near 85.1°N, 210.8°W. 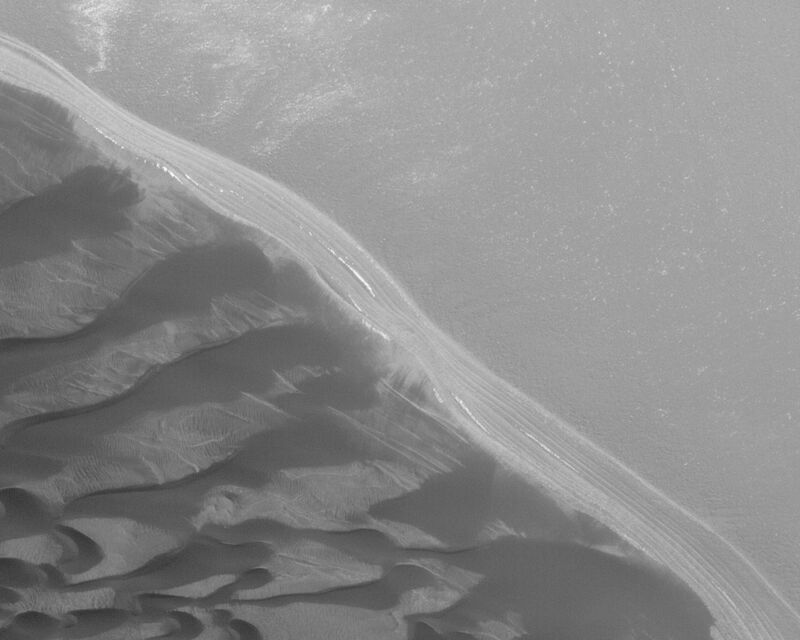 The scene covers an area approximately 3 km (1.9 mi) across, and is illuminated by sunlight from the lower left.